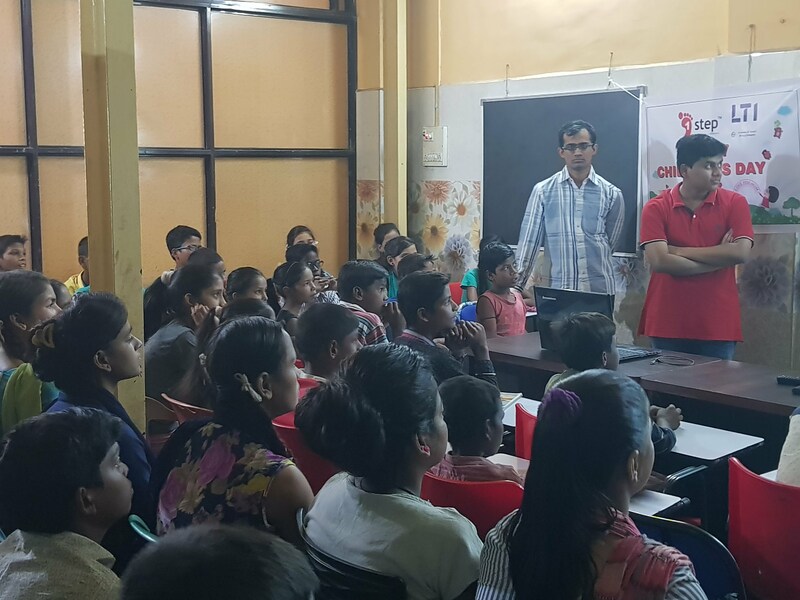 On 18th November,2017 the members of Society of Robotics and Automation (SRA) ,in association with CoE-CNDS, VJTI were invited to interact with the young minds at Aarambh learning centre, Turbhe. Our aim was to introduce them to the world of robotics and automation, and in the process kindle their curious minds with some of the amazing stuff being done at VJTI. The day began with professor Dr. Faruk Kazi interacting with the children,all aged between 11-15 years. He stirred their minds;urging them to reminisce everything they had known or heard about robotics and its impact on modern society. Then the student members of SRA demonstrated the robots featured at the workshops;namely the line follower and the self-balancing robot. The session hit a climax with the demonstration of bioloid humanoid robot performing human exercises with intricate dexterity;inspiring awe and amusement among the young audience. The robotics session was concluded with the display of videos of some famous robotics projects. The next session was conducted by Ms.Sneha and Mr.Neeraj of CoE-CNDS,who created awareness about the increasing impact of fossil fuels and how renewable energy like solar,wind can provide answers to sustainable development. Then they provided an overview into their research work on solar photovoltaics. Then Amit Kharwandikar of VJTI took the children to an amazing journey through the vastness of the universe that we are but a minuscule part of;and how a large part of it is yet to be explored by humankind! The third session was an interactive session with the kids. They were given level 1 bots to try out and experience the feel of basic robotics with their own hands. Simultaneously, they were provided a demonstration of the solar energy setup. We ended the day with a Q&A session,followed by photographs. The day was tiring;yet rewarding. The team from VJTI had a broad smile on their face throughout the day. The energy and enthusiasm shown by the children was simply infectious. We as emerging engineers felt a lot of satisfaction in inspiring young minds to take challenges of the society and come up with innovative solutions. We would like to thank 1Step initiative by L&T Infotech,Aarambh learning centre and professor Dr. Faruk Kazi, to provide us with such a wonderful opportunity. We hope that with this session, we have started a small ripple in the minds of the children that continues to grow and inspire them to work relentlessly towards the progress of humanity.